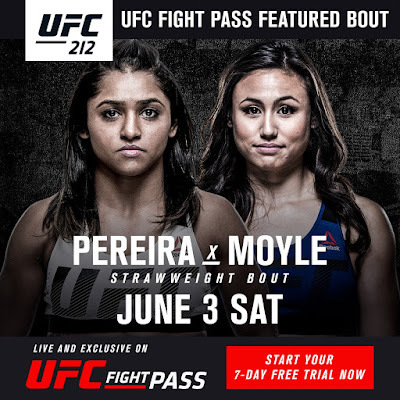 UFC Fight Night 112 brings us another Sunday event from the Chesapeake Energy Arena in Oklahoma City, Oklahoma featuring two excellent women's strawweight fights today. 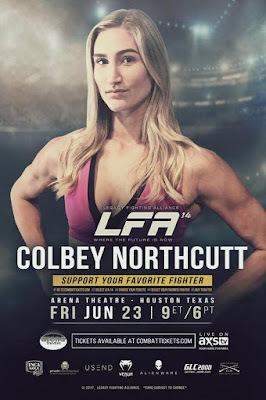 First up on the Fox Sports 2 preliminaries starting at 7 PM ET former UFC strawweight champion Carla "Cookie Monster" Esparza (12-4) will throw down with rising contender Maryna "Iron Lady" Moroz (8-1). 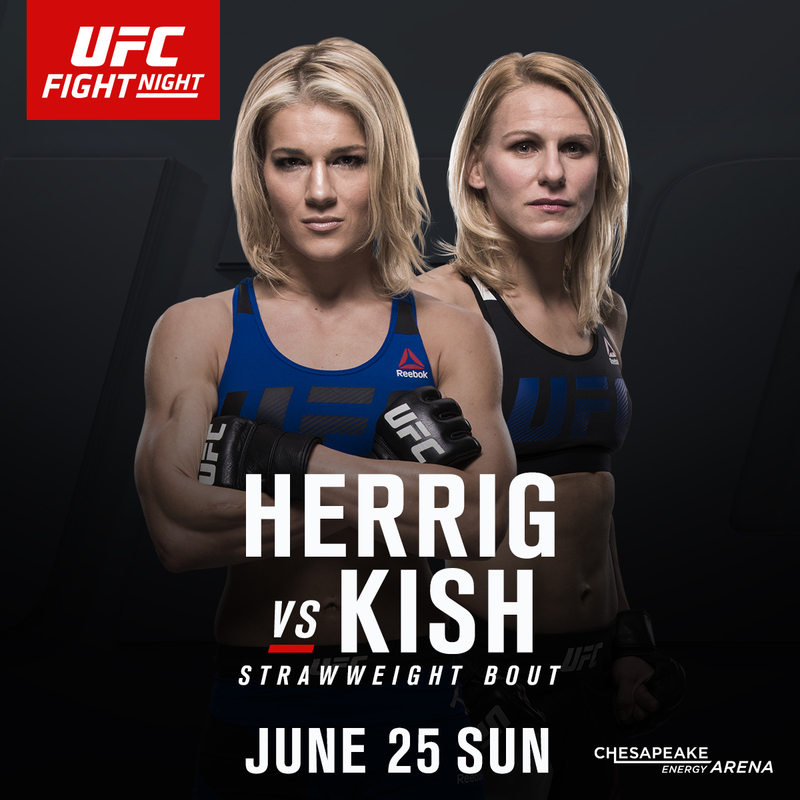 Then on the Fox Sports 1 main card starting at 9 PM ET Felice "Lil Bulldog" Herrig (12-6) takes on undefeated Justine Kish (6-0). Photos courtesy of the UFC and Iron Beard MMA. 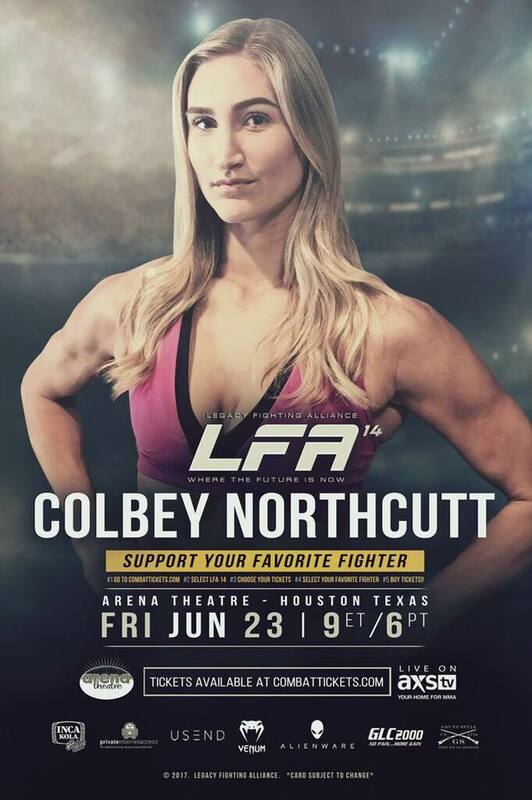 After a short amateur MMA career (3-1) followed by a hiatus for college, Colbey Northcutt has returned to the sport and will make her professional MMA debut tonight versus Courtney King at Legacy Fighting Alliance 14 in Houston, Texas at the Arena Theatre. 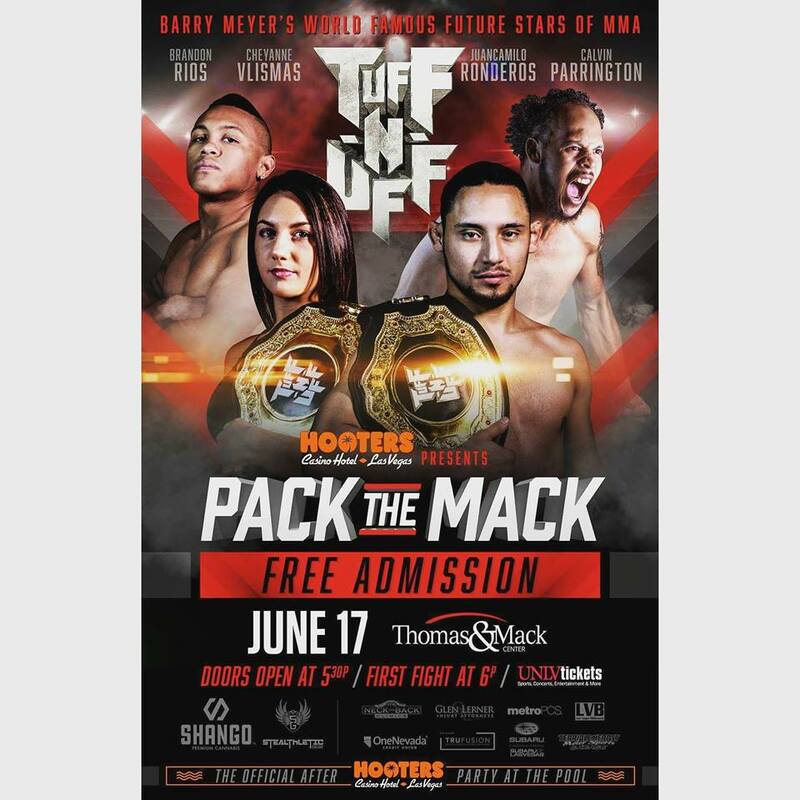 Get your tickets from Combat Tickets or watch the main card live on AXS TV starting at 9 PM ET. Send your shout outs to Colbey on Instagram and Twitter. Photos courtesy of Colbey, Hannah Robinow and Legacy Fighting Alliance. 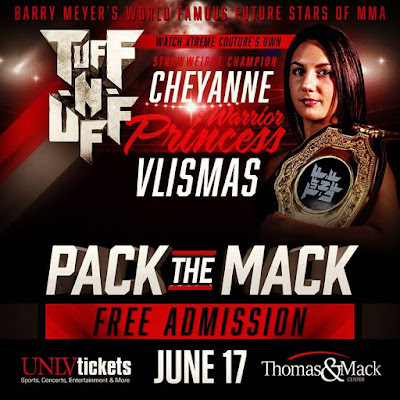 Babes of MMA sponsored fighter Cheyanne "The Warrior Princess" Vlismas returns to the Tuff-N-Uff cage this Saturday night to defend her strawweight title against Crystal Demopoulas. Send your shout outs to Cheyanne on Facebook, Instagram and Twitter. Good luck Cheyanne! More event information including ticketing can be found through Tuff-N-Uff. Pack the Thomas and Mack Center in Las Vegas this Saturday night! Photos courtesy of Cheyanne, Infamous Graphix, Joe Pic Photography and Tuff-N-Uff. Video courtesy of Heidi Fang of the Las Vegas Review-Journal. 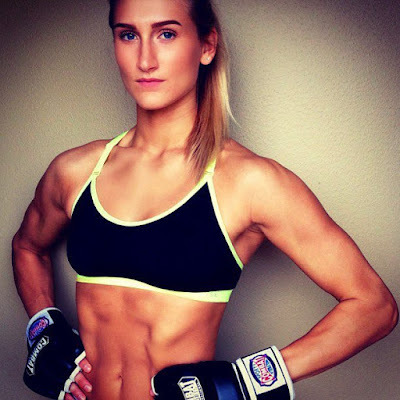 Say hello to MMA babe Monika Cozlin! This knockout sports mahogany, black and blonde-hair, is 5’8”, 115 lbs, measures 32D-26-36 and calls Los Angeles, California home. Monika has graced the cages and rings for Fight Club OC, Golden Boy Promotions/Tecate and WKC. 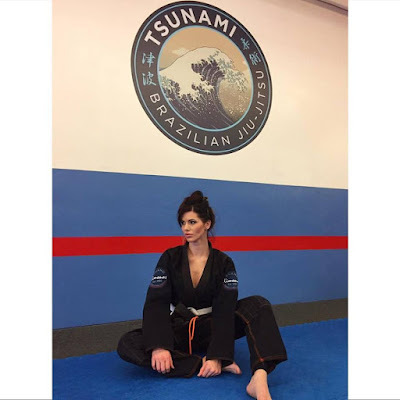 She has practiced boxing, Krav Maga and recently took up Jiu-jitsu. Her favorite fighters include Conor McGregor, Fabricio Werdum, Ronda Rousey, Selina Flores and Oscar De La Hoya. Outside the world of martial arts Monika is a print, television, and promotional spokes model as well as an emcee. Her extensive print and television work includes bikini, lingerie, fitness modeling, automotive and motorcycle. She has also appeared on several TV shows, participated in runway shows and bikini contests. Her promotional modeling background includes spokes model, emcee, hosting, presenter and platform narrator, ambiance and atmosphere model, ring girl, grid girl and demo model. For more on MMA babe Monika Cozlin give her a follow and shout out on Facebook, Instagram and Twitter. Tomorrow UFC 212 brings us two ladies strawweight fights live from the Jeunesse Arena in Rio de Janeiro, Brazil. 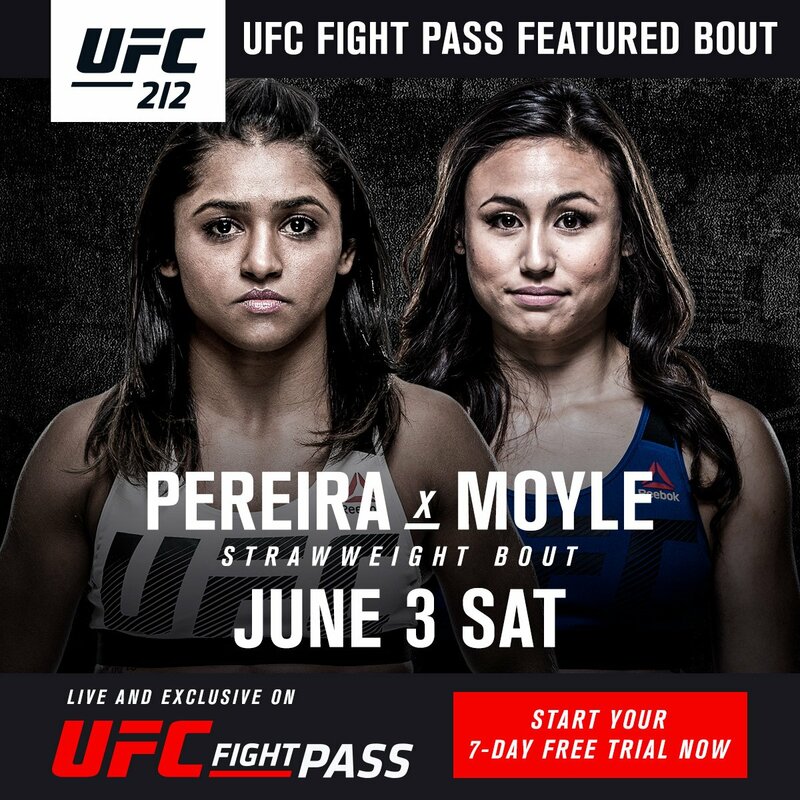 First up, Jamie Moyle (4-1) welcomes Viviane "Sucuri" Pereira (12-0) to the Octagon in the headlining spot of the UFC Fight Pass preliminaries starting at 6:30 PM ET. Then in the PPV co-main event starting at 10 PM ET the top two strawweight contenders Claudia Gadelha (13-2) and Karolina Kowalkiewicz (10-1) will battle it out for title shot rematch with UFC strawweight champion Joanna Jędrzejczyk. Photos courtesy of the UFC.